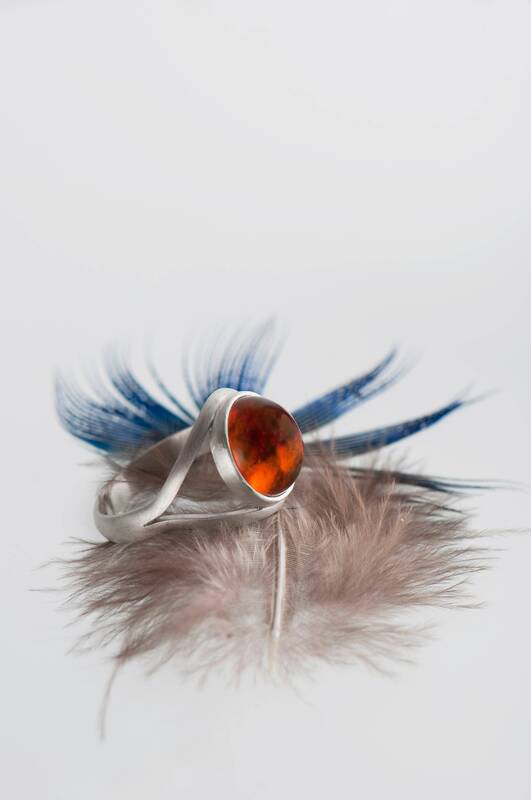 Are you looking for a big but minimalist ring with a natural stone? 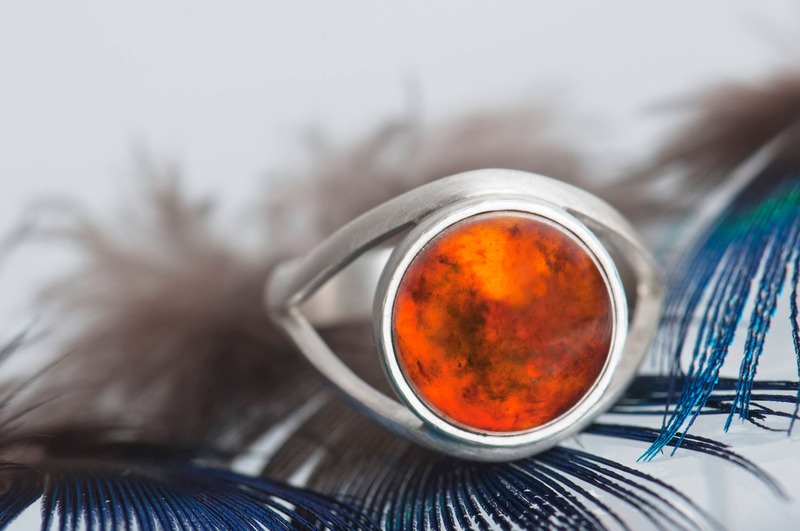 Maybe this Baltic amber silver ring is exactly what you are searching for? The ring is quite big but still not massive. 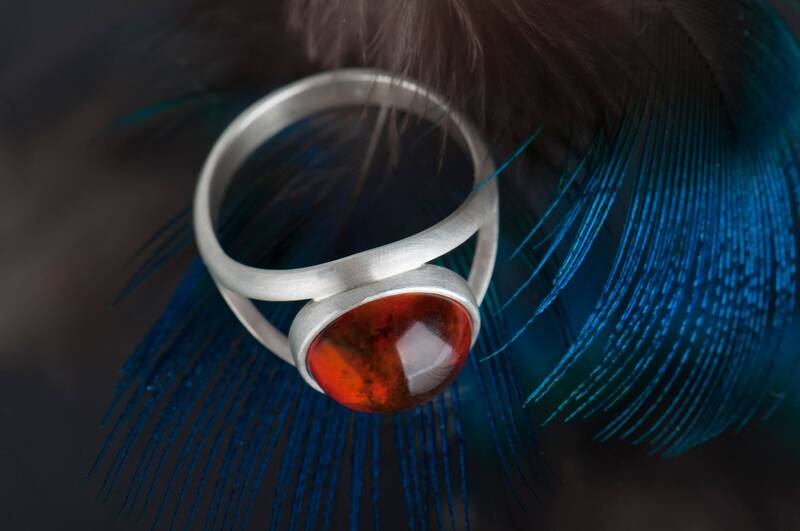 The matte silver band helps focus the attention on the beautiful natural stone. The glow which comes from the mirror polished surface beneath the stone makes the light go through the amber two times - first on its entry, and then as a reflection. 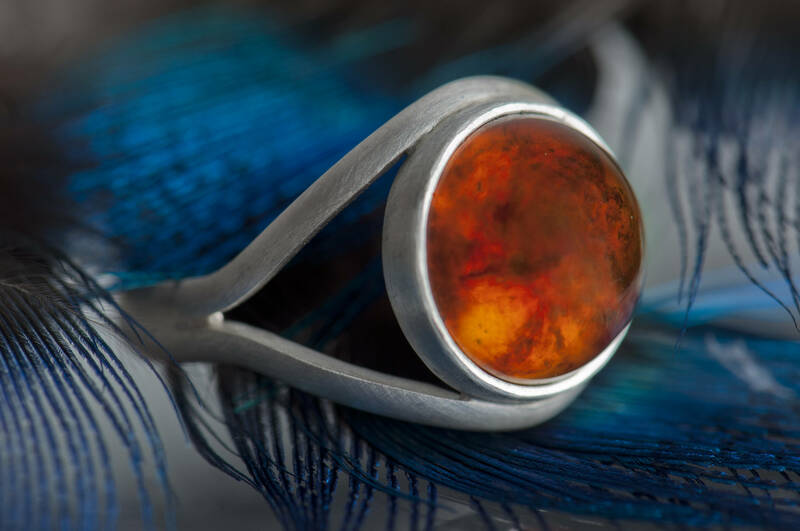 That's a reason why you can precisely see the rich structure of the stone, which is unique for every amber because of unrepeatable pattern of the inner cracks and hue of the color. 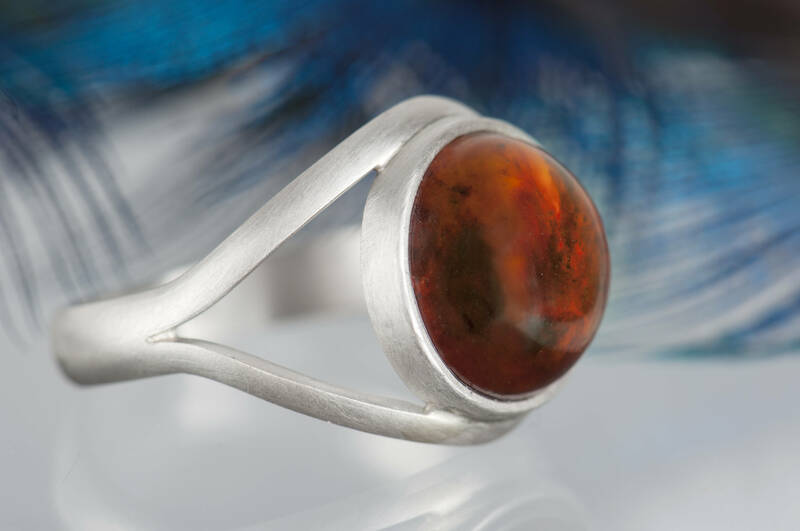 If you choose jewelry with amber you can be sure that you'll receive one of a kind stone. 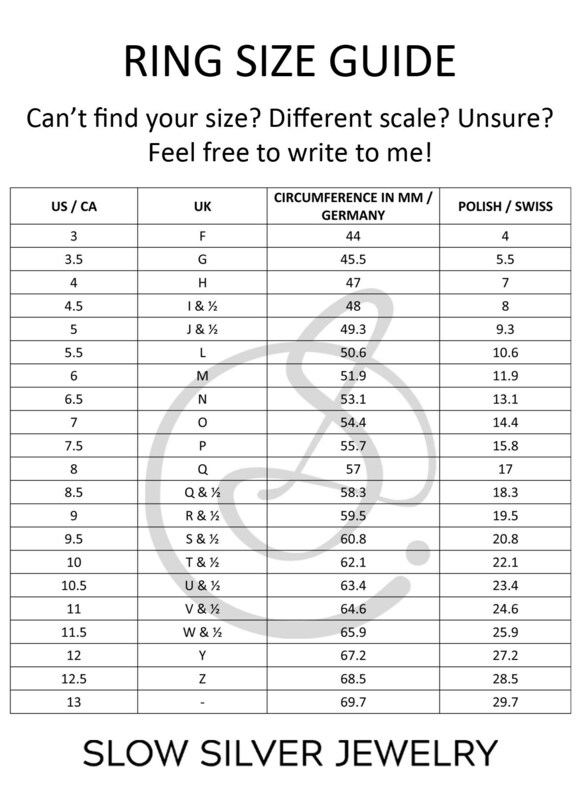 I can offer you a ring which is unique as well - entirely made by hand, with a possibility to put an engraving with text of your choice like a date, a name or initials on the inside of the inside of the band. 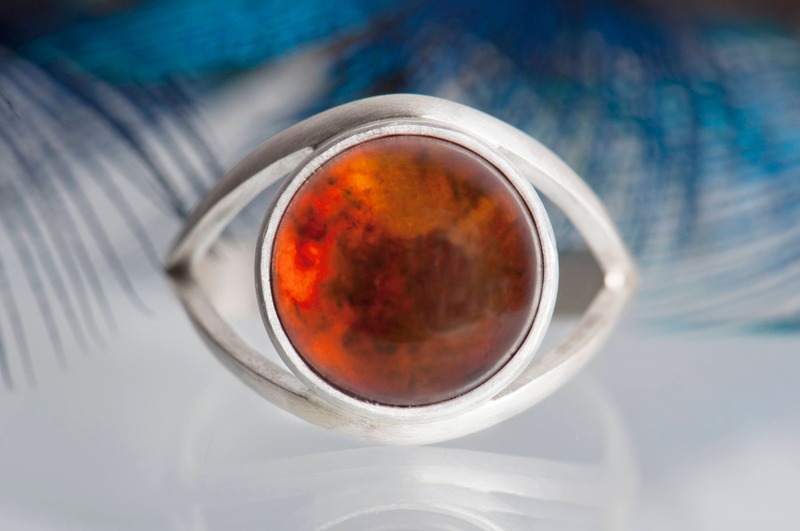 If you're looking for a special gift for somebody close to you, this amber silver ring will be a good choice. 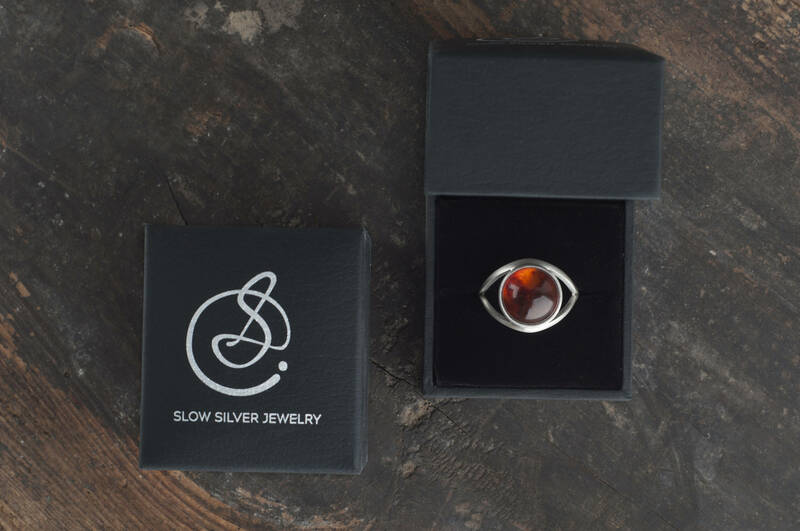 It can be also a great gift for a Lord of the Rings fan - when I made this minimalist amber ring it didn't cross my mind that in bright light it might look like Sauron's eye. But it kinda does, doesn't it? In my shop I have a few pairs of LOTR cufflinks - this Sauron's eye ring can be an alternative Lord of the Rings jewelry for women. 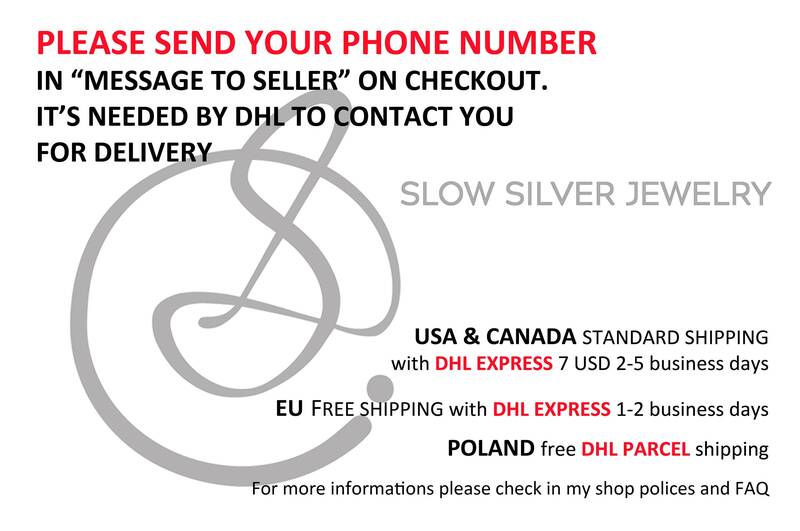 Your silver Amber ring will arrive in an elegant box ready for giving. If you intended it as a gift I can ship it to a third party and add a gift card with a personal message from you inside the box. 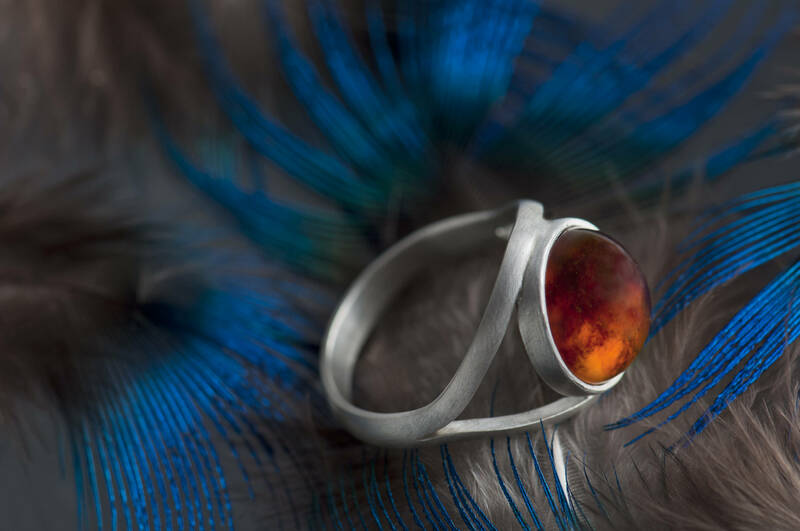 This amber ring is handmade, so I need up to 7 days to finish and ship your order. And as I already write every example of natural stone is different, so I'm not able to make two rings which will look exactly the same.